Shipping containers are extremely bare structures not surprising being designed to withstand adverse weather conditions and to protect their cargo. They are not built to be warm, homely, and comforting. They can however be adapted. A shipping container’s durable structure lends itself perfectly well to shelter, and with a few soft touches, it can be made into a beautiful living space inside and out. Whether it’s for use as an extension or external room, as part of a larger home, or a main living space in itself, shipping containers can (and do) make for unexpectedly relaxing home spaces. When you think of ‘homely’, you think of simple, cosy and comfortable. 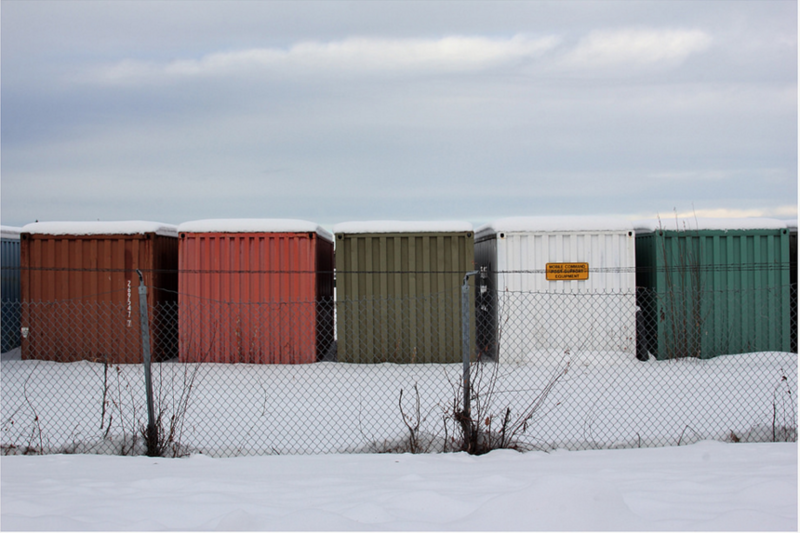 Shipping containers are not ordinarily insulated, and their cold steel structure can prove to be a real dampener. Many experts advise that the best type of insulation is the spray-on sort. It allows for easy application, and with the addition of insulation paint on the outside it should keep the inside of your container nice and toasty! Traditional methods of insulation (straw, wool, cotton etc.) may be liable to corrosion or damage over time, so spray-on or roll-on works best as its upkeep is minimal and its cost is low. Shipping containers don’t usually have windows, so it is important to get the lighting right if you intend to live, work or relax in one. In many cases, people cut windows into the steel walls and install window frames and double or even triple glazed glass (for improved insulation). Take great care though if you are using sharp machinery to do this, and always consult an expert if in doubt. To save space on indoor artificial lighting, consider installing sunk-in spotlights above head, plus some smaller lamps for a warmer vibe. This obviously depends on what your shipping container will be used for once it has been renovated. Be sensible with the space that you have, and maximise its potential. For examples, consider a sofa bed, or even a small mezzanine, so that the room can become multi-functional for yourself and/or for visiting guests. If you have used more than one container to create a larger space, you have more options and can partition off areas for different uses. However, a minimalist approach often works best, whilst still offering style, comfort, and your own stamp. Whilst many people admire the industrial sharp-angled outer walls of the shipping container, some wish to soften the perspectives somewhat. A simple lick of paint, some graphics, or adding some wooden cladding – which will also further improve insulation – to link the building with its natural surroundings adds a touch more. Additionally, the most recent series of George Clarke’s Amazing Spaces, on Channel 4, featured Max McMurdo and his quest to renovate a container in which he found himself even utilising the roof to further expand the container’s space. 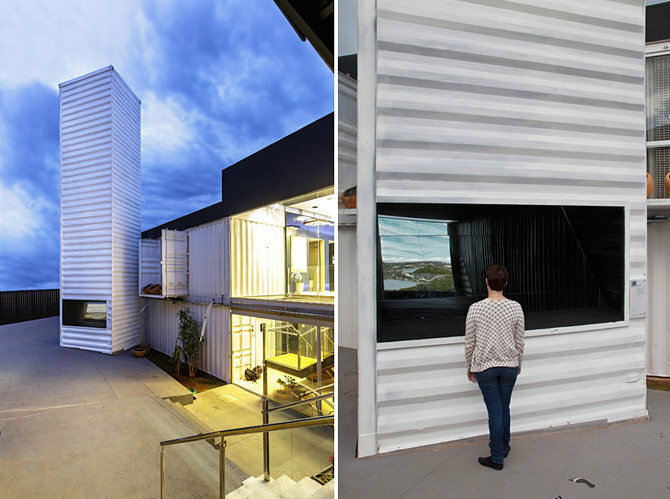 Clearly, the sky’s the limit when decorating the exterior of your container! Remember to keep in mind how you would like to use the space once it’s been made more habitable. For instance, If you are going to be there for pure peace and quiet, don’t worry about installing a TV, and perhaps make it a boring place for the kids so they don’t get tempted to come knocking! If you are intending to do some reading or painting, you’ll need lots of natural light. Consider the practicalities of the container’s use, and plan well ahead for how you can alter its design to cater for your needs in the long-term. Make sure that you plan the installation of electrics and/or plumbing and heating in the container space. No matter how well insulated the room is, it will get colder and damper in the winter months if there is no source of heat. Electric radiators are fine, but consider how you will run power into the room where and when it’s needed. If you plan to use it as an office space, remember that you’ll need a desk close to a power source. If you’re thinking of having a television there, plan where it will be and install power outlets in the most convenient spots. Always get a qualified electrician to deal with this – it’s incredibly dangerous to tackle it yourself! We have vast experience in the supply of ISO shipping containers for shipping, storage, and site cabins, as well as for residential and commercial buildings. We’re the UK’s favourite supplier, offering nationwide delivery and exceptional customer service throughout. We’re part of Williams Shipping Holdings Ltd, a highly reputable family-run company that was founded in 1894. For more information about our containers and their uses, contact us on 0845 263 0000 today.